The weeks really are flying by at the moment. And the weekends even quicker! We had a lovely Saturday with friends and their babies having paella and cocktails…the men were a little worse for wear by the end of the night. But it was great fun, and lovely to see all the babies playing together. 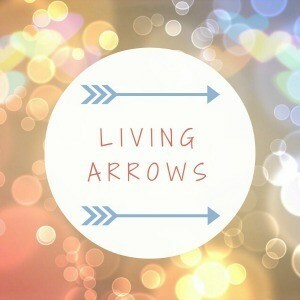 Anyway, without further ado, here is this weeks Living Arrows post. This week, and last week actually, Isla has been pretty clingy. She is beginning to play on her own these days, but is usually only happy as long as one of us is in sight. For a long time she has loved walking loops round the downstairs of our house while holding our hands. But the last week or so she has got part way round, stopped, turned around and wanting to be picked up for cuddles. Most unlike her. She often stops playing as well and crawls over to me for a cuddle. Or is happy cuddling in bed in the morning rather than going bat sh*t crazy and crawling everywhere all over the bed! 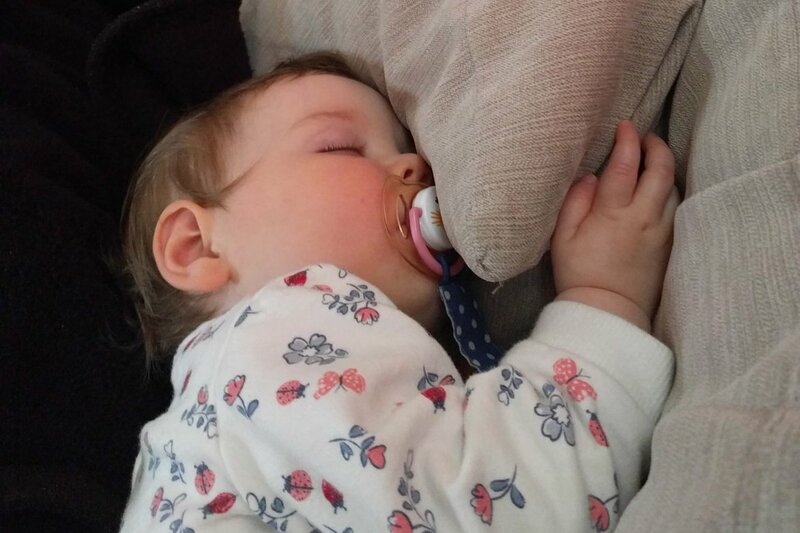 Isla has also been eating loads more than usual, and on the most part, sleeping much better. Since her birthday we have had a good few nights where she has slept through from about 9pm until 8 or 9am. And her naps have on the whole been quite good, usually 2-3 hours. Although there have been times where she has decided that a 45 minute nap is all she needs for the day. It really isn’t Isla Jean, it really isn’t! Maybe she’s growing? What do you reckon? For afternoon naps when we’re at home, we’ll usually snuggle up on the sofa under a blanket, and she will fall asleep on me. If I’m feeling productive, then I will transfer her to her cot and get things done. If not, or if I’m just in need of some babygirl cuddles, then I’ll let her sleep the whole time on me on the sofa, while I catch up on some TV I’ve recorded. The photo above is of one of her afternoon naps last week. She took aaaages to fall asleep! She’d snuggle for ages, and I’d think she’d fallen asleep, and then suddenly she’d sit bolt upright and start climbing the sofa to pull the curtains open and look out the window! When I took this photo, she’d been doing this on and off for about 45 minutes, and has been snuggling while lying on me, then sat upright, fell backwards onto my legs, closed her eyes and went to sleep for nearly 3 hours! I keep thinking I need to start teaching her to fall asleep on her own in her cot, both for nap time and bedtime, as at the moment, she cuddles up to us, and then we transfer her to her cot. This is usually alright, but when we have friends or family round in the afternoon, then snuggling up on the sofa isn’t really practical. But, I think I’ve said it before, I love my Isla Bear cuddles. We’re going to get to a time, where she doesn’t want to snuggle up on the sofa with me anymore, so I’m making the most of it for now. I know a lot of people will say, or think, that I’m making a rod for my own back. But this is how I parent, and I’m happy with that for the moment. 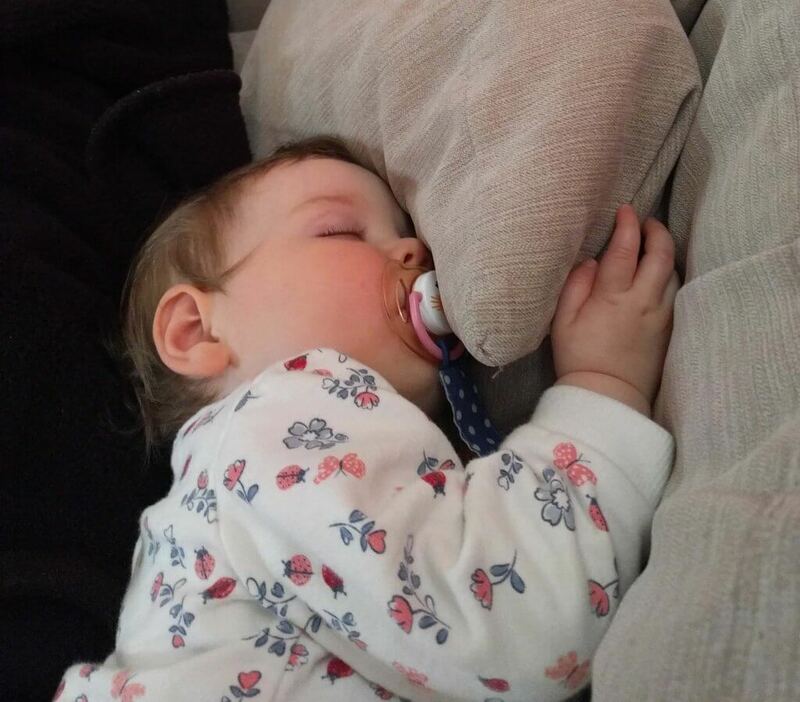 Do, or did, any of you cuddle your little ones to sleep? When did you stop and teach them how to fall asleep themselves? And how did you do it? Any tips would be greatly appreciated. I kind of feel I should have done this when she was really small, and life would be easier now. But… I LOVE Isla Bear cuddles! Ah paella & cocktails, sounds like heaven to me right now! And the sun is even shining. Sounds like you’ve had a lovely week! Napping can be so confusing, definitely sounds like a growth spurt though! Oh bless her, Patrick has just come out of the exact same clingy stage, wanting to be independent but can’t quite manage it fully yet. Sounds like a growth spurt for sure bless her!